Thank you for your beautiful, faithful prayers for our CETA Accreditation Site-Visit this past week! After an exhausting few days full of tons of questions, meetings, setting up interviews, airport runs, committee meals, and an extraordinary amount of time and notes and thoughts and counsel...Friday our administration sat down with the CETA committee. This committee is an incredibly experienced group, all working and leading seminaries and accreditation processes for years throughout the Caribbean, and they were SO full and free with an incredible amount of good advice and counsel. They had ideas our staff had never even THOUGHT of, concerns we never realized, encouragements we never would have thought to try, wisdom from lessons we haven't had to learn the hard way. Emmaus is SO thankful we have been pursing this accreditation, no matter how difficult and time-consuming and LONG it has been. Not only has the process made us a far healthier institution, but we were able to get WELL-evaulated last week by a large organization who has skin in the game and who is able to help us understand and achieve GLOBAL standards of theological education...for Emmaus, for HAITI. The committee gave EBS 11 Commendations or things that really impressed them or that they believe we are doing really well, 11 Suggestions--things they encourage Emmaus to do--and 12 Recommendations, things CETA would require be done for accreditation. They will now submit these items to the CETA Association at large, who has been reading through our massive Self-Study book and will go through their recommendations and notes, and then make the decision whether EBS 1) is not currently able to be accredited, 2) could be accredited after attending to the recommendations, or 3) can be accredited now and continue to work on the recommendations. So we wait, with your prayers! The recommendations and suggestions pertained to EBS getting more things more formal...CETA encouraged more review policies, an IT director, a qualified professional counselor on staff for staff and students, a qualified librarian and to arrange the library in a more user-friendly way, that we develop a formal process for board orientation and evaluation, find a degreed finance person, get together a Quality Manual, develop a curriculum review committee, develop measurable instruments for staff and student satisfaction, prepare the campus for hearing impaired or visually impaired students, and exit signs for the doors. But can I share with you the commendations? Because there is SO MUCH glory to God in it that we want to pause again and celebrate that with you...with you who have prayed and come and built and taught and helped and supported and loved and emailed and followed and sent and sponsored and BEEN a part of Emmaus, TODAY. They noted that our student-friendly tuition is really impressive and making it possible for men and women in Haiti to follow God's calling on their lives despite social standing, despite the poverty Haiti is known for, and noted that they have NEVER seen nor heard of a work-study program that allows students to work 10 hours a week for all they are receiving. THANK YOU for the students you are and have supported, making this possible! They complimented our "excellent facilities" and called Emmaus an "oasis in the dessert." THANK YOU to the MANY of you who have built, paved, painted, designed, and supported Emmaus. They complimented our huge emphasis on the students educational and spiritual development and were amazed at how EBS is working sacrificially to greatly improve the education of our faculty and staff. THANK YOU to those who have been a part of this continued education through teaching, or through the supporting of our staff members! They noted that EBS's mission to develop Christ-like leaders for Haiti and the World "comes alive through the all the day-to-day activities and interaction on campus." Finally, they talked of their experiences and ministries in the United States, in Jamaica, in Turks and Caicos, the Dominican, in Haiti, in Cuba, in Trinidad, and noted that the committee was deeply impressed humbled that "Emmaus Biblical Seminary is truly a labor of much love and a Light to the Nations." "If God uses ONE man from Emmaus," Dr. Stroude said passionately, "if He uses even just ONE woman to change the world for His glory, as we clearly see Him doing, then all of this, all of it, it has not been in vain." Emmaus is ok with the library needing work, good with job searching some more talented people for our staff, and ready to develop more documentation. But our great prayer has been that Emmaus might be HIS Light to the nations...that the mission of Emmaus--to develop Christ-like leaders for His transformation of Haiti and the world--might be OUR mission, might be real and true and deep, might BE REALIZED. EBS has been poked and prodded, our pockets turned inside out, our weakest links all tested. What more could we possibly have hoped for than to have the CETA committee's unanimous observations be THOSE commendations? That is an answer to prayers of the decades. Thank you for being a praying part of people here at Emmaus...for the transformation of Haiti, and the world. Anyone who knows me well will know I am not career orientated. Going to uni to become a physio was mostly to fill in time until I got married and had a family. Don't get me wrong I like being a physio, I like helping people get better but I definitely don't want to do that until I'm 65 or 67 or whatever the retirement age is now. I remember being at a pilates course and one of the other physios on the course was sharing with the group about listening to a podcast about rehabilitation of hamstring tears. Everyone in the room was extremely interested in what she was talking about, then other people started talking about different podcasts they listen to. The whole time I was thinking I don't have enough time or desire to listen to podcasts about physio! Saying all of that when I am at work I try my very best to get people better, but when I am not at work I don't think about it. I'm not listening to podcasts, or reading articles or doing research, I'm at home looking after the boys. But last week the importance of physiotherapy was highlighted to me...I got a man up to walk for the first time in a year. He had a stroke a year ago and had regained some good movement but had never been prepared for walking. So over the past month I've been working on preparing him for walking and on Friday he walked for the first time in a year. Little Yvelinda, who first came to me in January with probable CP, uncontrollable dribbling, unable to old her head up or talk is now holding her head up well, rolling over and sitting for a few minutes on her own. Her dribbling has almost stopped and she is starting to talk. She came a couple of weeks ago with a skin infection...that's another story. Little miracles happening in my very hot little room everytime I'm there. We want to see more of those little miracles and that is why we are building this new therapy room. We are so close to finishing, all the outside is done next we need to do the electrics, tile the floor, paint and add the windows and doors. But our funding has run out so were stuck. Please pray with us for the rest of this funding to come in and if you feel led to give please email me and I will explain the best and quickest way to give. I have so many plans for this building which you can read about here and we have a PT team coming the first week in January and really need the space for the things we have planned. Also, I learnt a lesson about faith this past week, on Monday I arrived in my room and my books were spread out over the plinth but my folder of notes along with my diary and some blank paper were gone. This meant starting all my assessments again and not knowing what treatments I had already done with patients. It was quite strange how my stuff was laid out when I arrived on Monday. I shared this on Wednesday in prayer meeting and Danni prayed that everything would be returned. I was thinking there is no way, who would steal something then when they didn't find any money there, make the effort to return it. Yet I was proved wrong, on Friday Dr Rodney came to my room with my folder of notes, my diary and the blank paper. Someone had found them in the patients toilet. O ye of little faith. I didn't really believe that God could do that, but he did. So were praying and believing that God will provide the rest of the funds to complete this project. Will you pray with us? I've been working with a little girl called Lanouska since January of this year. 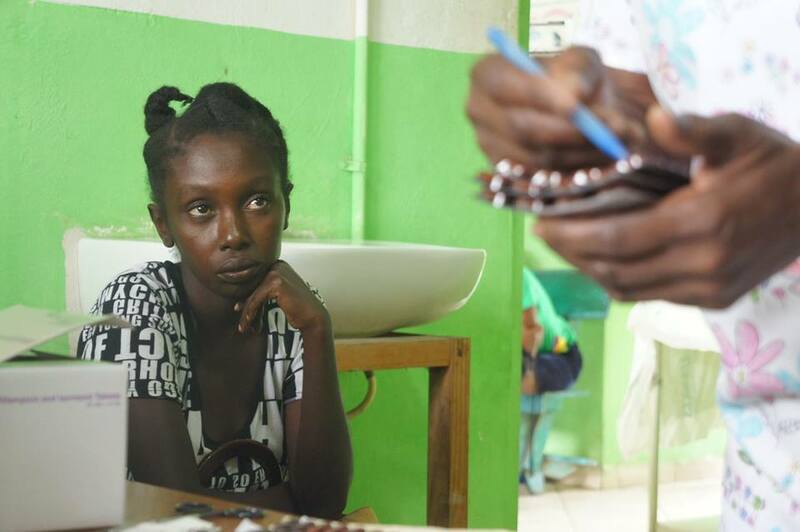 She is now 13 and has a very complicated history...like most medical histories in Haiti. Until she was 11 she was able to walk, not completely normal but mobile then one day she fell after school and hasn't walked since. I have been going to her house to treat her every Friday we have been working on getting her stronger and being able to stand. She has weakness and neurological issues in both her arms and her legs. Having never worked in neuros or paediatrics I feel way out of my depth but she has definitely made progress since January. After a few months I was able to get her standing with two people helping her. Then Phil built me a standing frame for her which we have been using so she can learn to stand independently and she continues to improve. I have been trying for months to get her a decent wheelchair so she can go out and maybe even go to school. Finally and thankfully I was able to get one from the walkabout foundation and I delivered it to her last Friday. She was very pleased and even able to push herself a little which I was not expecting because of her arm weakness. This chair will keep her in a much better position and give her a little independence. The issue now is the closest school won't accept her, shes 13 and with missing a couple of grades of school because of financial difficulties, then missing again after her fall she is now only in 3rd grade so she would in be in with the 8 year olds. Not only that she would need someone with her to push her chair and take her to the toilet. So school is not working out. The family have talked about paying someone to come to the house but they just don't have the money. This is a very difficult situation, not knowing what is wrong with Lanouska makes her difficult to treat. I am sure her family is putting on their hope on me to help her walk again which I don't know if that is going to happen. It has also been hard to get her family on board to continue her therapy in between treatment sessions. I have had lots of opportunities to share the gospel with her family so please continue to pray that God will speak to the family. When we have visiting PT's and OT's we can use this space as an education room to help develop Haitian PT techs in the area. I can't wait for the room to get finished!Dr Rodney continues to amaze me, not only is he a doctor, director of BMC, running the nursing school and teaching there and an elder in the church. But he drew up the plans for the building and it looks brilliant! I am still looking for any PT's and OT's to come and work alongside me, especially if they have a specialty. 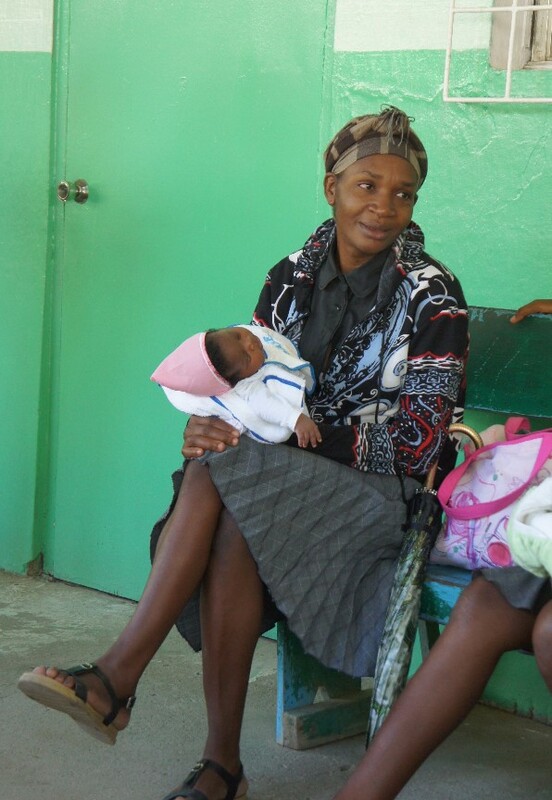 As far as I am aware, there are no occupational therapists around the Cap Haitian area. 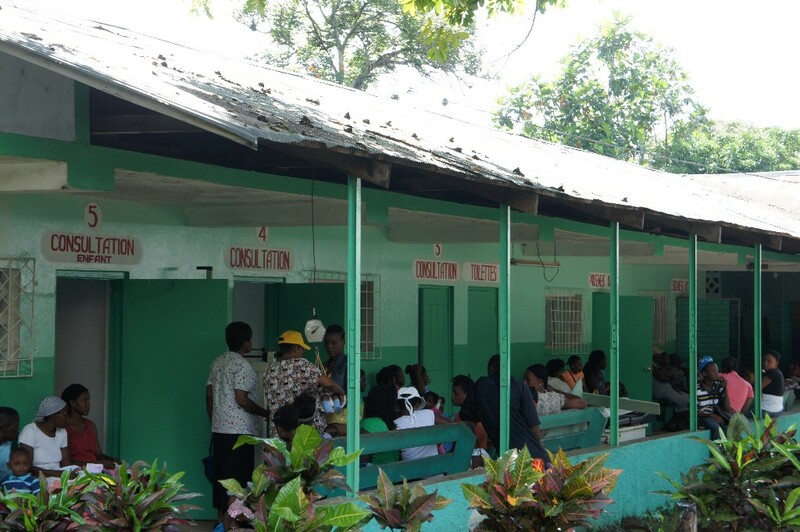 Your role would be to treat patients and educate not only me but other Haitian PT techs in the area. If you are interested and want to know more please email me. Meanwhile Bill has been teaching his two residential courses and his translator, Leme, told him 'Bill you don't need me anymore.' Leme had just been in the room just incase Bill needed him but he is not using him so Bill is now teaching without his translator and is doing fine. This year EBS is offering weekend courses for people who are working full time and cannot come during the week. Yesterday was Bill's first weekend class and he will be teaching for the next two Saturdays. So were taking it easy this weekend, celebrating Matt's birthday last night and having home church this morning. I find going to church in Haiti with the boys hard, trying to get them to be quiet and sit for 2 hours takes all my energy so when it comes to listening to the sermon in Creole I barely pick up anything. Every 6 weeks or so we get together with our neighbours and listen to a sermon online, this morning was Francis Chan on John 21 when Jesus asks Peter, do you love me? It was great, he challenged us on do we really love God and if we do how does that reflect in our lives.